Composite doors are renowned for their vibrant colours, strong structures and bespoke designs. However, their downside – their hefty price tag. But, why do they come with such a large bill? Well, for a one-off price, you will receive endless benefits! One of their most significant benefits is their ability to conserve heat inside of your home. Due to their structure, draught will be eliminated, cold air will stop entering your home, and cosy, warm temperatures will remain inside. Ultimately this means you will see a reduction in your heating bills. No longer will you have to turn up the dial to compensate for escaping temperatures. Instead of pennies being thrown out off the door, they can be saved up! So, whether you have a dated or contemporary home, composite doors effectively make your property stand out. Your visitors, neighbours or passersby are sure to be impressed. If you’re willing to pay more for superb quality – a composite door is the best entry for you. 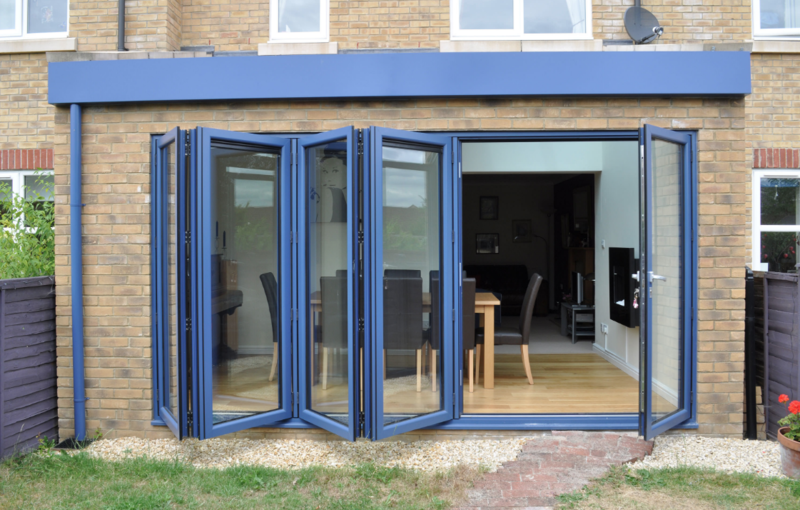 Although aluminium doors do not hold a valued reputation and are not as common as the previously discusses composite – their many benefits can make them a strong contender. Aluminium doors offer great security yet come with a low price tag – sounds good right? Despite not being the most aesthetic, aluminium doors have built up an excellent reputation for being practical and cost-effective for the quality they provide. So, what could you possibly achieve from a standard, aluminium door? Aluminium doors are built to last. With their functional properties and a rising reputation, they effortlessly and effectively make your home look contemporary. What could be better than going simple with an aluminium door? If you’re looking to install a new door that is energy efficient, secure and affordable, PVCu is the way to go! Most homes in the UK have PVCu doors – but why? It is because they have built a popular reputation. Many homeowners have a strict budget and PVCu door fit in well with that. They provide high quality for a price that is hard to argue with. But, what will you gain from investing in a PVCu door? PVCu are the perfect door for homeowners who are not too fussed about saving energy or achieving great aesthetics. Instead, these doors are suited to have a standard door replacement with no excess expenditures. Composite, aluminium or PVCu? Well, it depends on what you are looking for! If you are searching for a door that will contribute to your home’s energy efficiency, then composite doors would score first place. Their dense structures prevent heat from escaping considerably well. For practicality, the PVCu would win this section. They are affordable, they are efficient, and they offer standard security levels. If you are looking for simple and functional – a PVCu model is the way forward. Finally, if you’d like a door that requires little maintenance, aluminium doors would be the best. This type of entry doesn’t rot, and it has no wooden structure. Therefore, this material is durable, long-lasting and requires very little care – saving you time and hassle. So, what do you want for your home? Regardless of what your home’s style and personality – here at Elite Windows, we can supply and install the perfect door for you! If you’re interested in investing in a door for your – whatever model that be – contact the team today. Doors, doors and more doors. Who knew there could be so many types! Of course, every model has their positives and their negatives – which can make it difficult to decide which door is perfect for you. However, here at Elite Windows, we thought we would help make the process a little bit easier. There are 3 main types of door, including composite, PVCu and aluminium. Each door holds a differing amount of benefits and factors that could you off. But, in this blog, we will list the advantages and disadvantages that come with each style, so you can decide which door is worth your investment.